The elegant, well defined appearance of Tanabe Medalion Touring is mature, and matches the artistry of a tastefully built, highly tuned machine such as the Hyundai Genesis Coupe. Using the all new ‘continuous strand’ ADVANTEX packing material technology, Tanabe Medalion Touring achieves extremely high levels of exhaust system efficiency, while maintaining a street driveable, extremely low frequency and deep tone that is well under 93db for discreet sports driving. 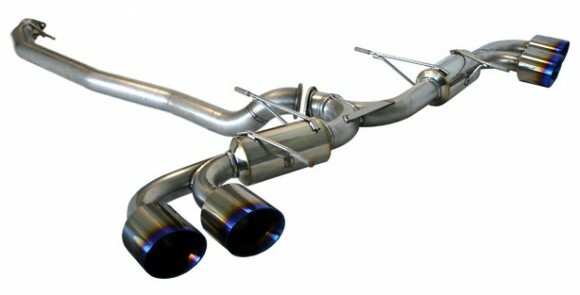 Tanabe – New Nissan 370Z Medalion Touring Exhaust! 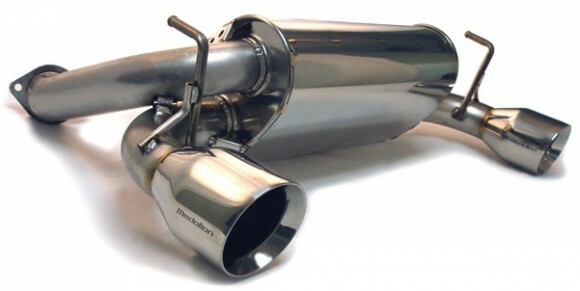 The Tanabe Medalion Touring is the special street spec exhaust system for the Nissan 370Z. Its aim is to improve power while keeping the exhaust note clean and sound levels lower than other racing exhaust systems. 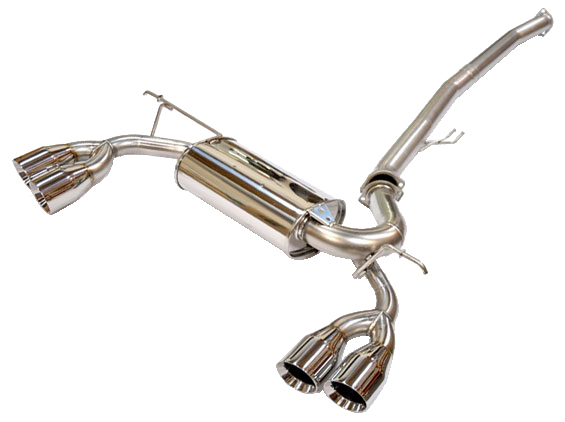 * Dual Mid-Mufflers – Dual mid-mufflers help quiet the exhaust and create a smooth sound. * Hollow Hangers – Hollow hangers reduce exhaust system weight while providing strong mounting. * Dual-Wall Tips – Dual-wall tips reduce exhaust sound resonation and droning while driving. * Dual End-Mufflers – Dual end-mufflers further quiet and clean the exhaust note. * Full SUS-304 Stainless Steel – Full SUS-304 stainless steel construction ensures durability over exhaust systems made with weaker metal. 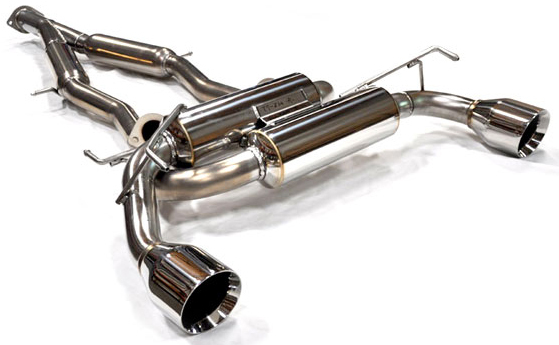 Like all Tanabe exhausts, the GT-R Medalion Touring Exhaust is 100% made in Japan, and you can expect it to have the same high quality construction as found in all Tanabe exhausts. Anticipate properties that will not be found in the exhaust systems of other manufacturers, such as full SUS304 construction, Advantex packing material, and special blue inconel tips. The elegant, well defined appearance of Tanabe Medalion Touring Exhaust is mature, and matches the artistry of a tastefully built, highly tuned machine. The Tanabe Medalion Touring for the Nissan 350Z features piping reinforcement brackets and a heat shield plate on the muffler canister to prevent browning and to maintain a high luster. 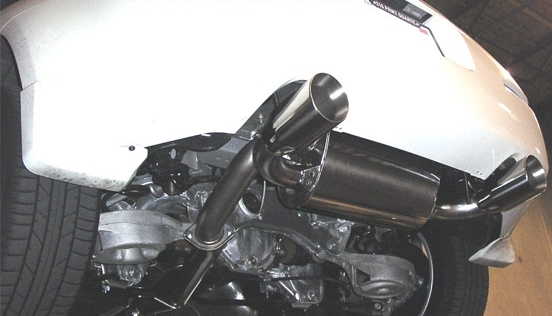 The Tanabe Medalion Touring for the Nissan 350Z is Y-Pipe Back, however an optional Y-Pipe is also available. Aeromotive – New EFI Bypass Regulator!